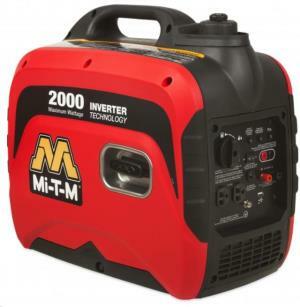 Our Mi-T-M 2000 watt inverter generator features a 1 gallon tank and is capable of running 6 hours on a 50% load. Features two 5-20R outlets with electronic overload protection and a USB battery charging outlet. This generator runs considerably quieter (63dB) than most generators for areas where noise may be an issue. * Please call us for any questions on our generator 2000 watt rentals in Hillsdale and Ridgewood NJ.